You must have seen a floor jack when taking your used car in Abu Dhabi to a mechanic. The floor jack is basically an indispensable tool for auto mechanics. 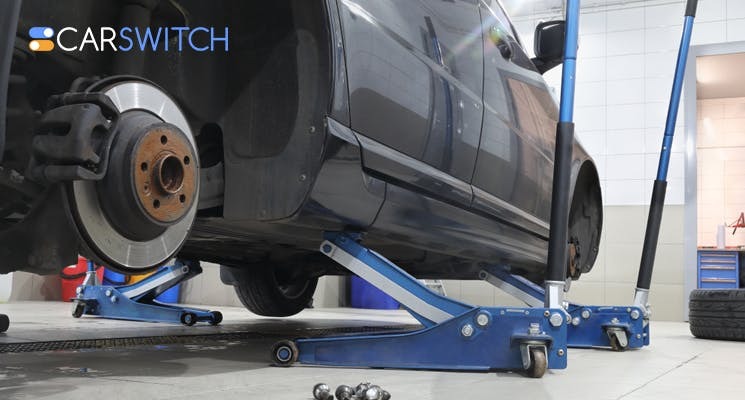 It lifts up the car from the floor with minimum effort so it becomes easier to repair the bottom of the car or replace flat tires. The floor jack is also sometimes called the car jack or automobile jack and it is operated manually. To lift a car using a floor jack, start by setting your jack and parking your car. Lock your car down using the clock wheel so that the other tires do not roll. You can use a cinder block or a wooden wedge. Set the jack under the vehicle and then balance it in a way that the jack is touching the car’s coupling point. After that, use the handle of the device to raise the car to the desired height. If you want to fix something beneath the car, support it using the jack and unwind it slowly until it balances on the jack stand. You must also use a car stand when you are working underneath your used car in Abu Dhabi. It is a hand operated device and requires a little effort to raise the car. It is made for contemporary cars and the contact point fits easily with the jack point of the car. You can also find electricity-powered scissor floor jack in the marker that can be plugged into the battery of the car and lift the car up and down easily. They are using in construction workshop and they aren’t your typical jacks that can be used to replace car tires. You should be very careful while using this jack and make sure it is stable when you are using it. Also known as a screw jack, it is a device made to raise apartments from the ground to do repairs or relocate. Various studs are used and a wooden structure is used to hold the house tentatively. Also known as piston jack, it works like a floor jack. However, there is a difference between fabrication and it can be used to raise cars to higher levels. To make your floor jacks last for years, you must take good care of it. For instance, you should regularly check for loose bolts, fissures, and dents. You must also wipe the jack with a damp cloth to keep it clean. Also, check the operating manual to be aware of the oil change interval. Make sure you never store your jack when it’s wet. Whether you want to sell your car or buy a used car in Abu Dhabi, CarSwitch.com will make the whole process a breeze for you. Happy shopping or selling! 5 Factors to Help You Choose the Right Type of Oil for Your Used Car in Dubai! As easy as we think it is, choosing the right engine oil for your used car. Before you get enchanted by the physical appearance of a new or used car in Abu.